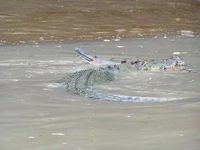 AFTER several crocodile sightings within the past week the debate on whether or not crocodiles should be culled or removed in Queensland has reignited. 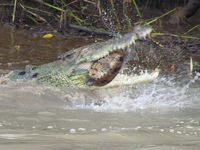 An article published in yesterday's Daily Mercury quoted Mackay business owner John Cooney asking the government to lift current legislation which prevents crocodiles from being killed or culled in Queensland. This sparked heated debate on the Daily Mercury's website and many readers SMSed their thoughts. The majority of online users were in favour of culling crocodiles, with the online poll having 86% of participants voting yes and only 14% voting against the culling of crocodiles. 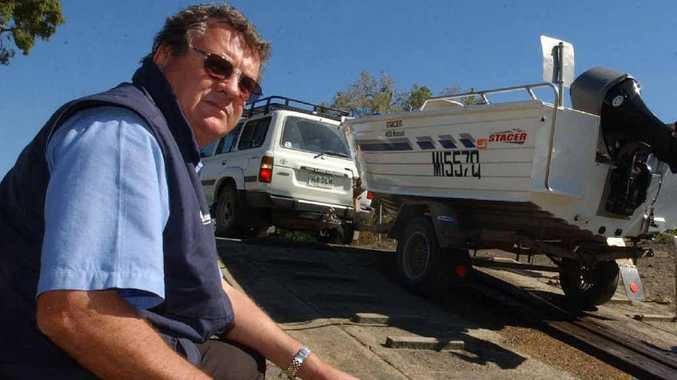 Sunfish Mackay president Lance Murray said he believed it was inevitable that someone would soon be attacked by a crocodile. "It is not a question of will someone be taken, it is a matter of when," Mr Murray said. 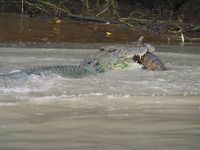 "When I was fishing in this area during the '70s I rarely saw a crocodile; now it's common to see them during the day." 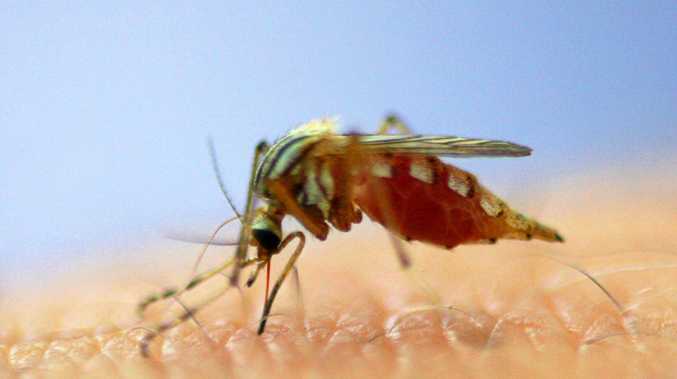 A Department of Environment and Resource Management spokesman said given the recent sightings, DERM would be extra vigilant during the Christmas break. "DERM will conduct extra surveys of crocodile habitat in the Mackay region over the Christmas/New Year period, following reported sightings at Slade Point and Blacks Beach," the spokesman said. 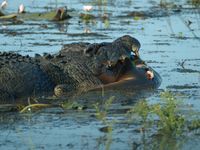 "If the crocodile is found to be in the area and threatening public safety it will be removed. "DERM surveys indicate there has been no noticeable increase in the Queensland crocodile population over the last decade." Should crocs be culled or relocated from our beaches? This poll ended on 23 December 2012.